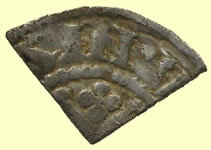 Henry was nine when his father died. 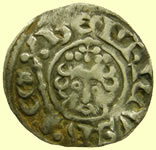 A series of regencies ruled in his place until 1234, when Henry took over. 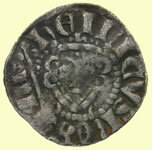 His problems began in 1237, when his barons objected to the influence of Henry's Savoyard relatives. 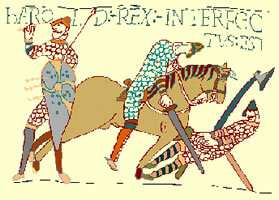 The marriage arranged in 1238 between his sister and Simon de Montfort only made matters worse.In 1242 Henry's half brothers involved him in an expensively disastrous military venture in France. 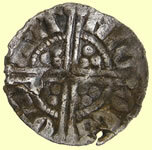 This prompted Parliament to demand new blood on the council to act as 'conservators of liberties' and oversee royal finances. 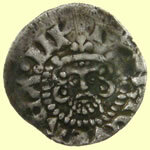 But the king was able to exploit the differences between his opponents and little happened. 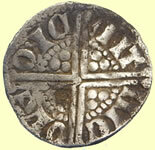 Finally, in 1258 a bu ngled deal with the Papacy threatened Henry with excommunication. 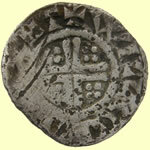 This, together with defeats in Wales and local crises, brought about the main crisis of his reign. 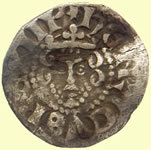 The Provisions of Oxford (1258) created a 15-member Privy Council, selected by the barons, to advise the King and oversee the entire administration. 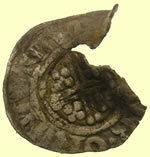 Parliament was to be held three times a year and the households of the king and queen were also to be reformed. 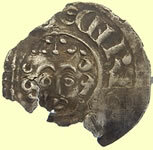 The settlement began to break down in 1260 as divisions erupted between the Earl of Gloucester and the ambitious Simon de Montfort. 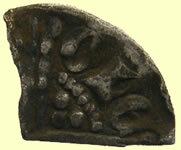 Civil war was inevitable. 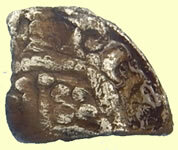 In May 1264 Simon de Montfort won a resounding victory at Lewes and set up a new government. 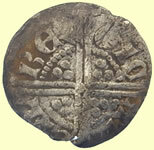 In May 1265 Prince Edward escaped captivity and rallied the royalist forces, defeating and killing de Montfort at Evesham before taking control of government from his weakened father. 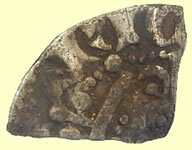 The rest of the reign was spent resolving the problems created by the rebellion. 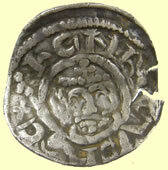 Henry deprived de Montfort's supporters of their lands, but the 'Disinherited' fought back until terms were agreed in 1266 for former rebels to buy back their lands. 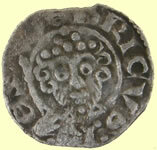 By 1270 the country was sufficiently settled for Edward to be able to set off on crusade, from which he did not return until two years after his father's death, in 1272. 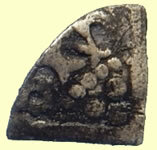 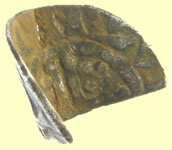 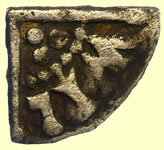 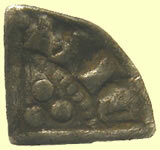 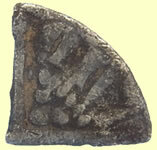 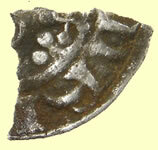 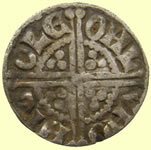 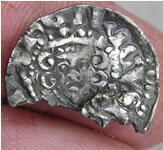 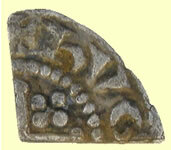 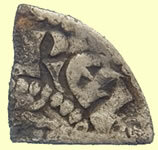 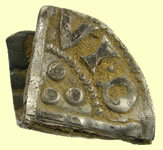 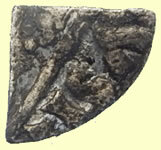 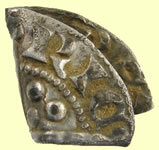 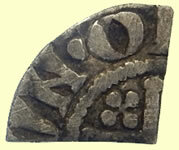 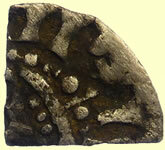 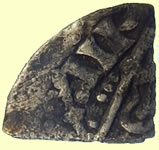 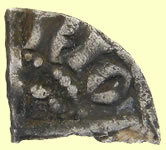 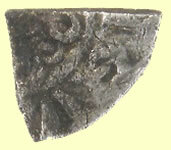 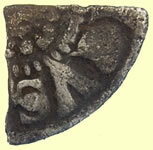 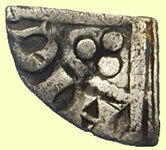 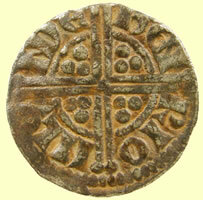 In King Henry III's long reign (1216–1272) the short-cross penny continued in use until 1247. 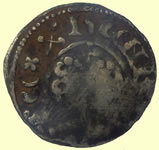 By then, however, through no fault of the moneyers' there was a problem in that many of the coins in circulation were underweight. 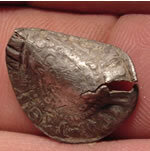 This was caused by the illegal practice of clipping silver off the edge of the coin, which was made easier by the cross on the reverse not extending to the rim thus giving people no clear indication of exactly how big the coin was supposed to be. 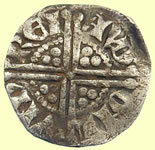 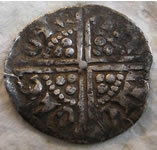 In 1247 therefore, a new long-cross penny replaced the short-cross coin, which made it more obvious when the coin had been clipped. 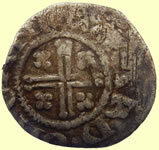 Apart from the change in the size of the cross, the rest of the design did not substantially change, and the long cross made it easy to cut the coin into halves or quarters for change. 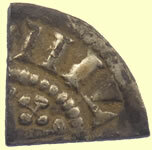 Because of the introduction of the new coinage it was necessary to reopen many of the old mints to supply sufficient coins. 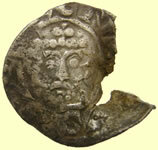 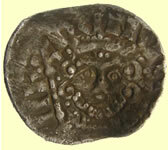 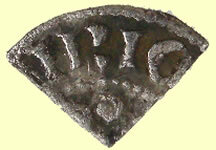 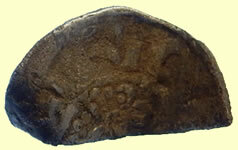 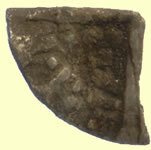 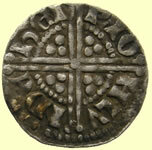 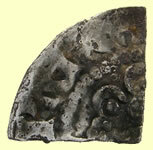 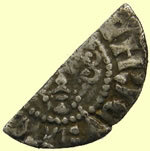 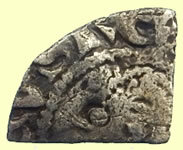 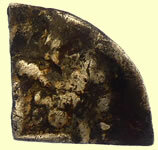 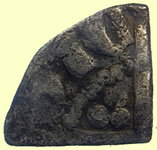 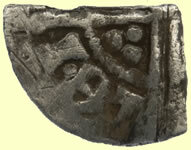 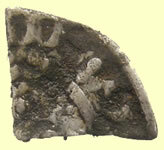 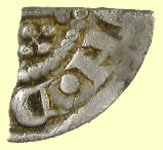 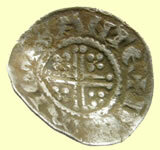 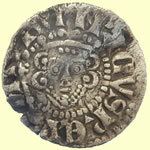 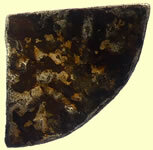 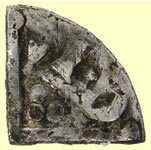 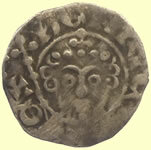 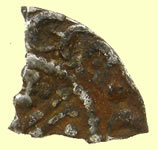 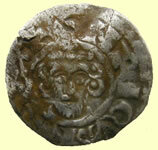 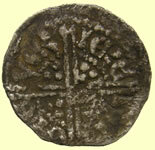 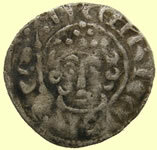 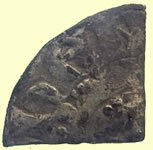 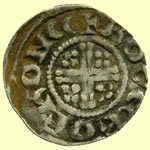 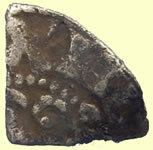 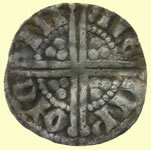 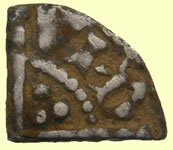 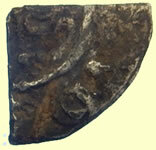 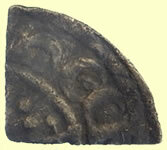 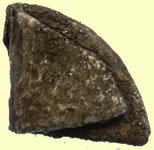 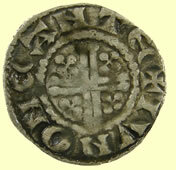 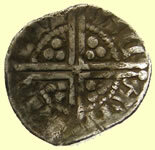 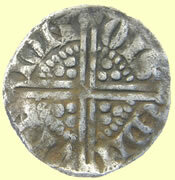 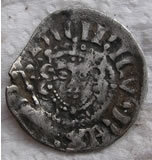 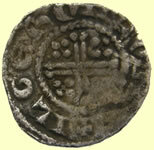 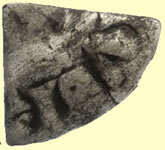 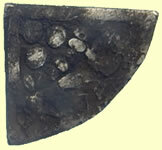 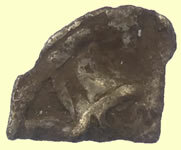 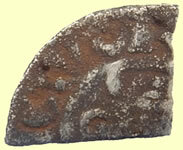 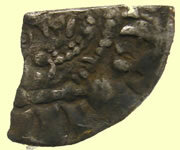 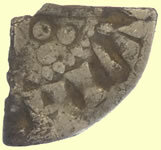 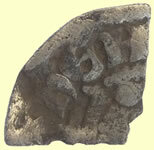 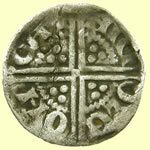 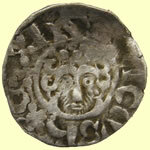 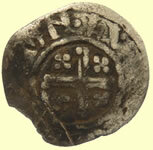 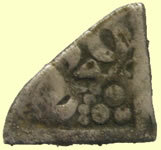 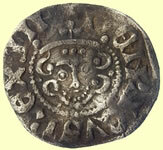 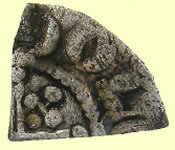 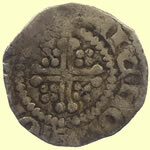 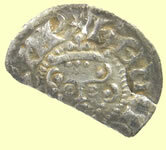 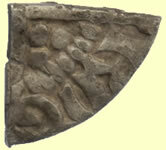 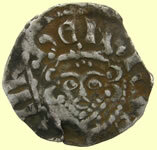 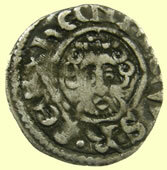 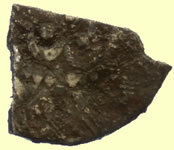 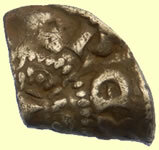 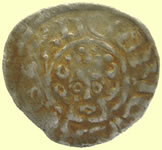 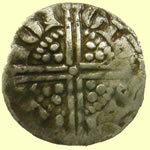 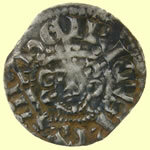 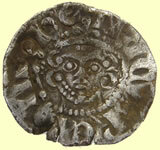 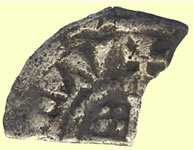 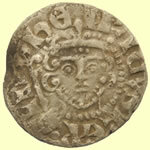 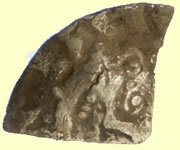 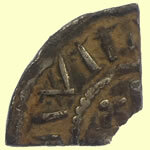 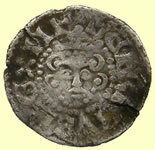 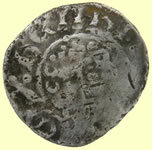 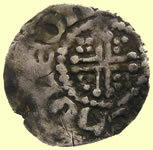 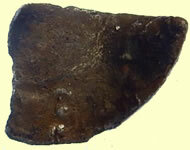 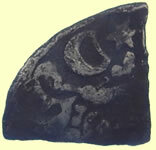 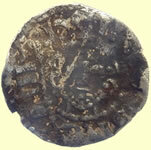 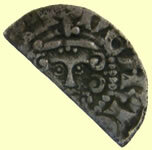 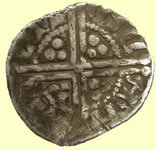 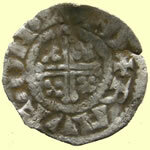 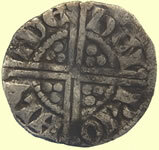 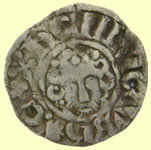 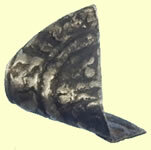 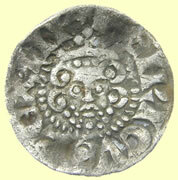 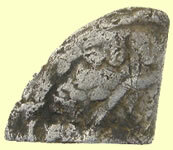 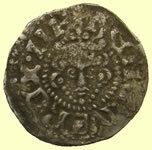 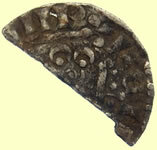 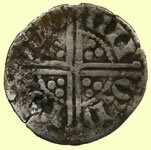 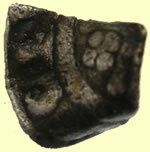 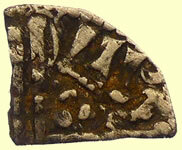 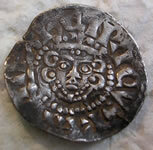 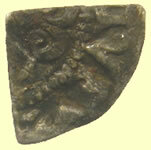 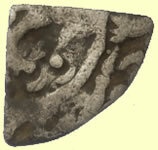 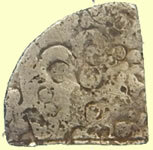 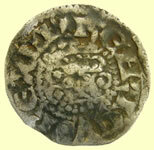 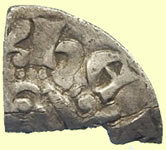 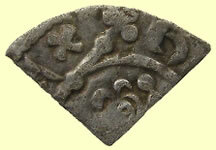 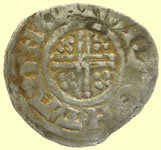 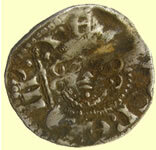 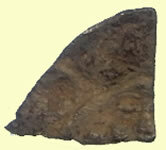 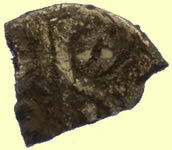 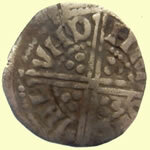 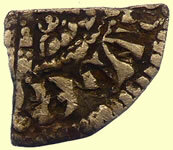 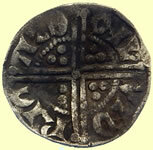 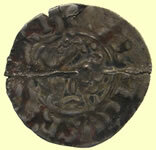 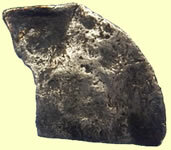 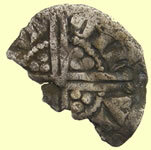 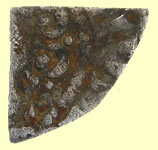 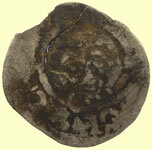 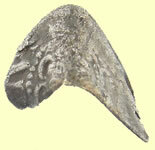 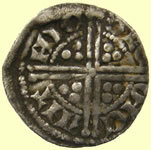 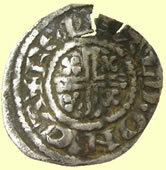 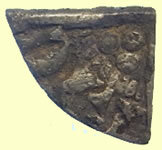 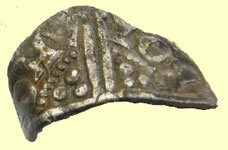 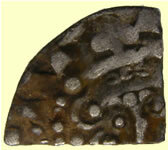 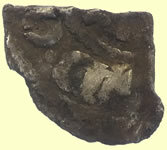 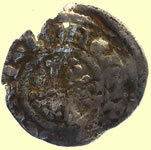 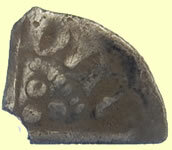 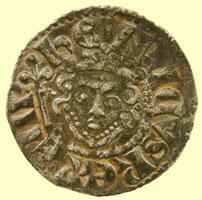 Short-cross Henry III pennies were minted at Bury St Edmunds, Canterbury, Durham, London, Winchester and York. 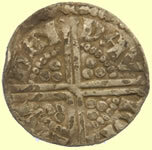 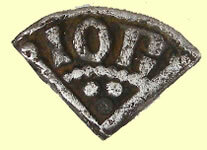 Long-cross pennies were produced at Bristol, Bury St Edmunds, Canterbury, Carlisle, Durham, Exeter, Gloucester, Hereford, Ilchester, Lincoln, London, Newcastle, Northampton, Norwich, Oxford, Shrewsbury, Wallingford, Wilton, Winchester, and York. 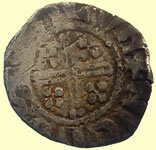 The inscription on the short-cross penny was still HENRICUS REX, while the long-cross pennies were variously inscribed HENRICUS REX TERCI, HENRICUS REX III (King Henry the Third), while one issue unpopularly omitted the moneyer's name, instead having HENRICUS REX on the obverse and ANGLIE TERCI on the reverse, while another issue had HENRICUS REX ANG on the obverse and continued on the reverse with LIE TERCI LON (or CAN or AED) indicating it was minted in London or Canterbury or Bury St Edmunds. 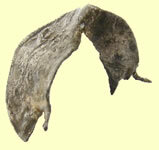 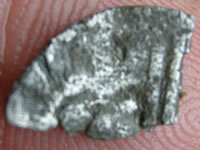 Interesting that Class 7c does not normally have pellets in curls ? 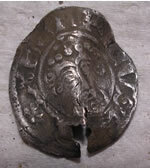 Rev *'CVE+ E** - Unknown mint ending in CVE ?? 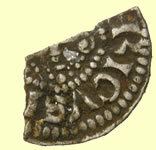 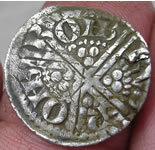 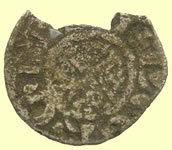 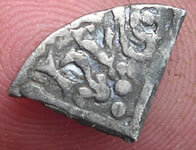 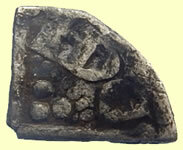 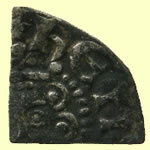 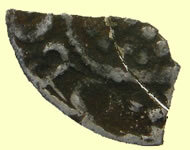 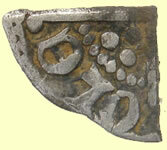 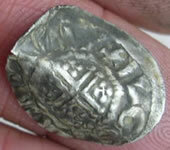 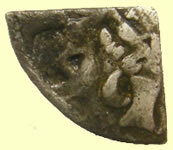 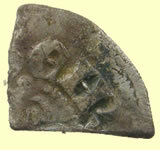 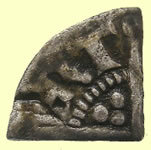 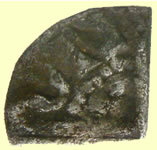 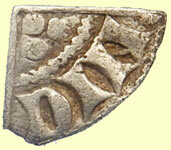 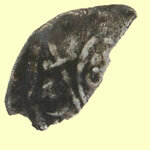 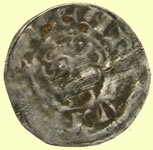 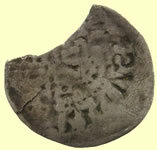 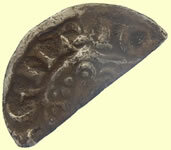 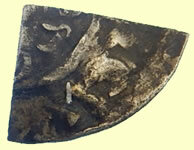 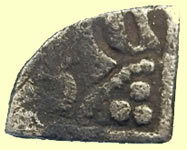 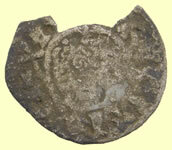 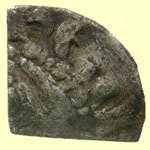 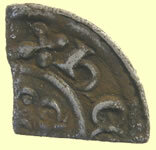 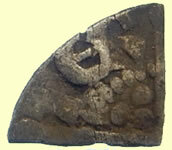 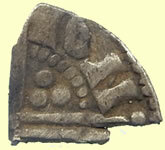 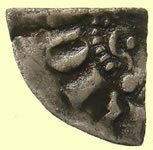 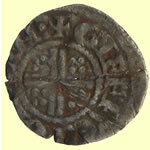 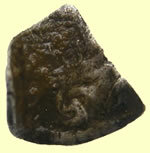 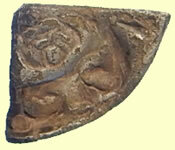 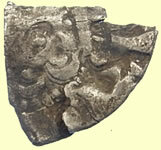 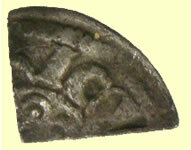 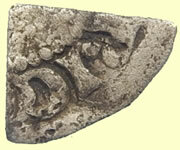 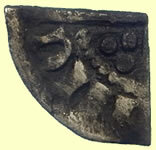 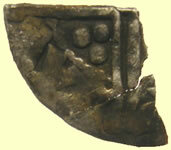 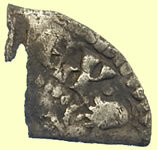 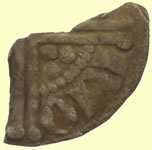 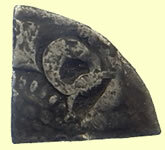 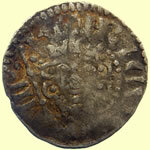 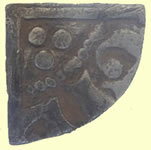 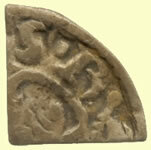 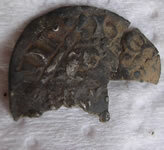 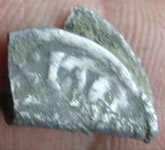 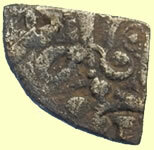 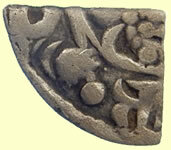 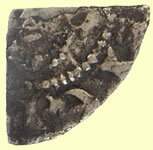 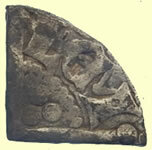 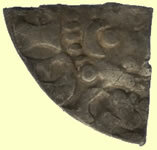 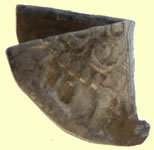 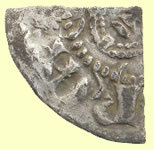 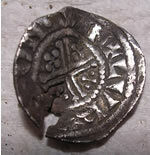 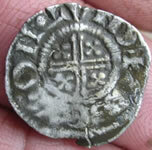 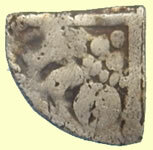 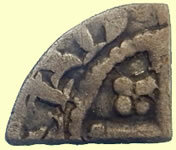 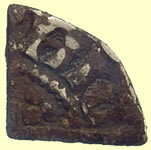 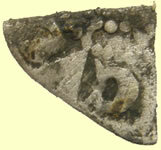 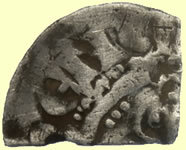 Facinationg coin - Moneyer is Nichole but the mint is not in C.Wren's book. 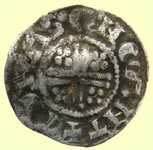 Mint clearly starts VCE which his no known mint ?